You can connect the E1820 with the USB interface of a computer. In the service area of the HSPA+/UMTS/ EDGE/GPRS/GSM network, you can surf the Internet and send/receive messages/emails cordlessly. The E1820 is fast, reliable, and easy to operate. Thus, mobile users can experience many new features and services with the E1820. These features and services will enable a large number of users to use the E1820 and the average revenue per user (ARPU) of operators will increase substantially. No driver for windows 7, 32 bit? The phone company says the hardware E1820 dont support win 7. Sometimes it works on win 7, and sometimes it dosent. My old modem E220 works with win 7…. What about Windows 7 ??? Hey no Linux Software or drivers ??? 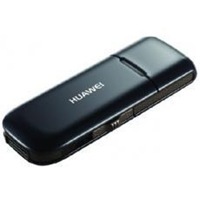 I’m staying in a area with weak signal reception – looking for a signal booster for my huawei e1820, anybody with some help will be highly appreciated.